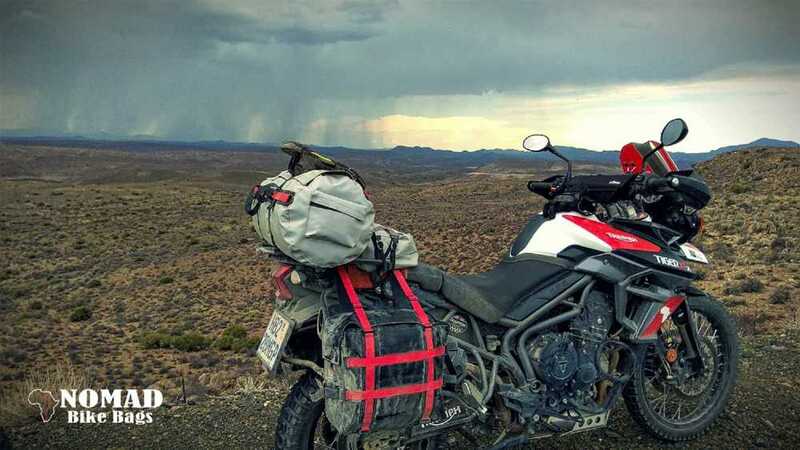 Practical and affordable pannier soft bags for your adventure riding. 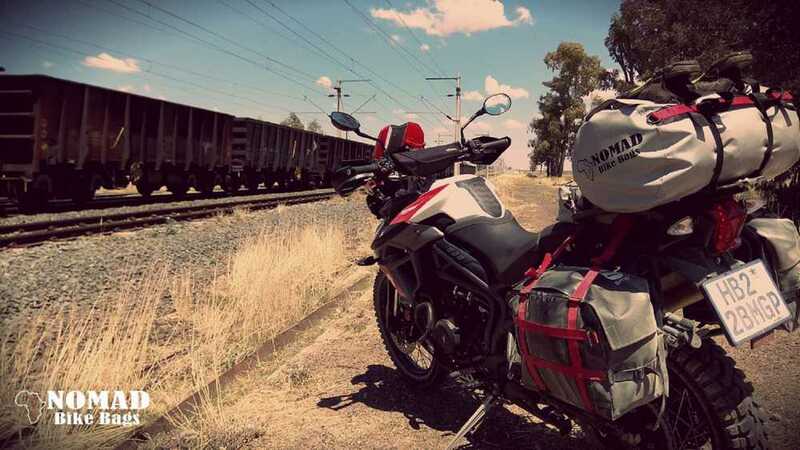 Our pannier soft bags make the perfect traveling kit for your adventure trip. Made from very durable material and comprehensively tested in rough conditions. 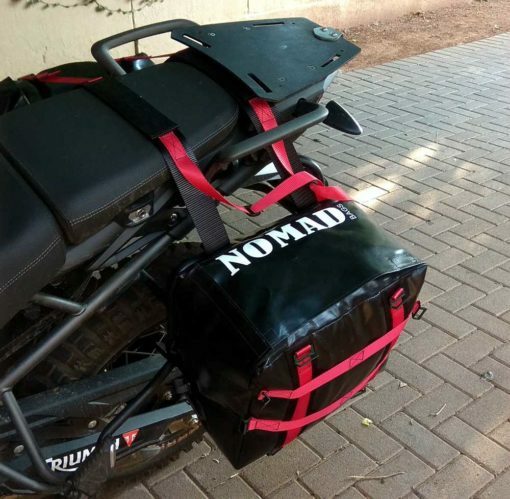 We are proud to enter the market with our Nomad Pannier Bags. 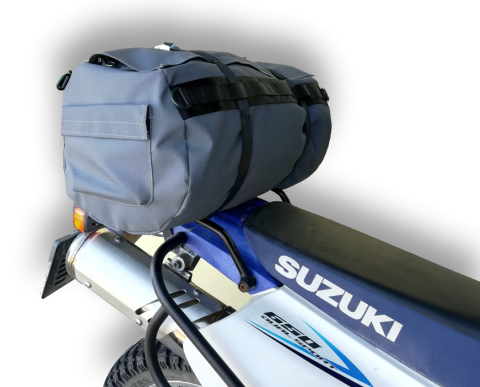 IMPORTANT NOTICE: Our pannier bags EXCLUDE the pannier rack to mount the soft-bags. You will need a pannier rack on which to fasten the soft bags and to keep them out of the way of the wheels and exhaust. We recommend the RockFox racks or Divi racks. If you purchase the racks from your suppliers, you do not have to buy their hard boxes, only the rack mount itself. 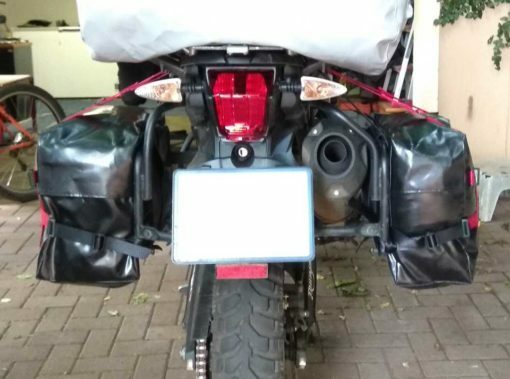 FITMENT NOTES: The bags hand on the sides of your motorbike. They are fastened over the seat with two ‘seat friendly’ 50mm wide webbing straps. 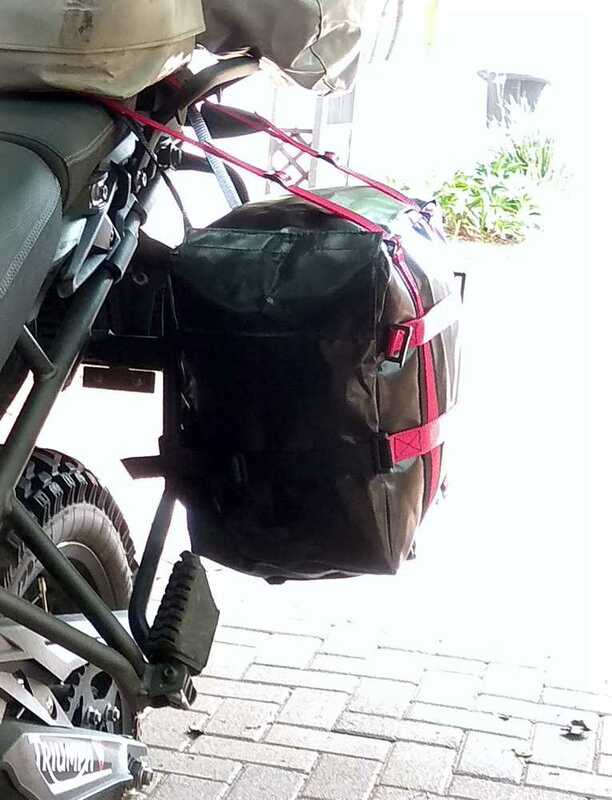 The bags themselves are then fastened to your pannier frame using 8 smaller webbing straps. 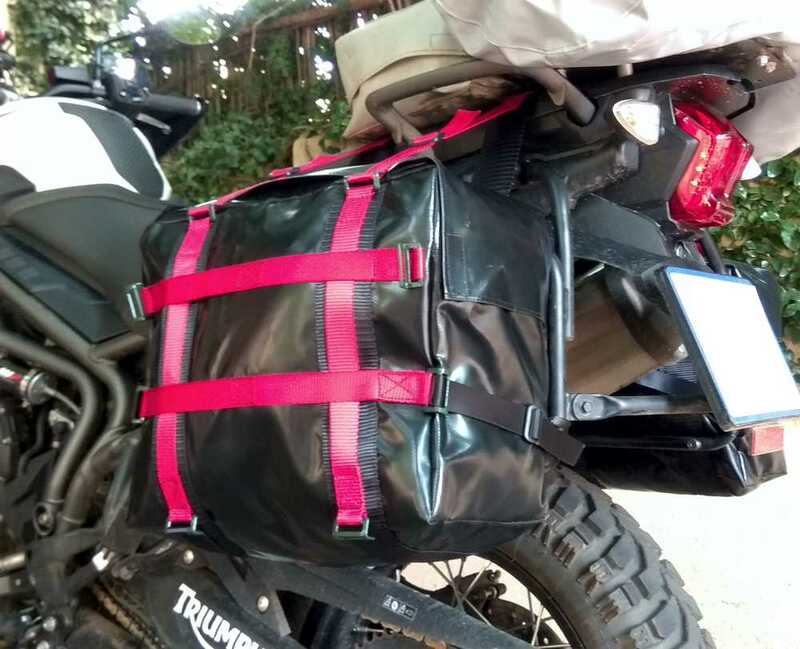 Finally to keep the bags stiffened and in shape while riding and not sagging, there are tension straps on-top of the bags that you tighten after packing and before riding. 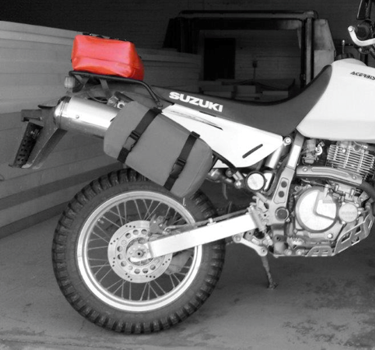 Refer to our images for the soft panniers! 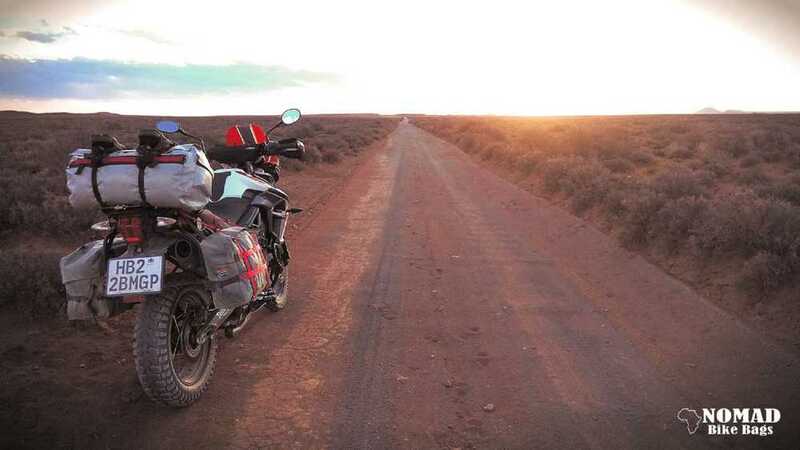 ORDERING NOTES: Due to the difference in bike design and pannier frame sizes, we will contact you immediately on placing your order (via your mobile) to confirm your motorbike brand and pannier manufacturer. Perfect to mount on on the back of your motorbike. Due to bike frames and exhaust mounting, we might modify the width to make your bags symmetrical. 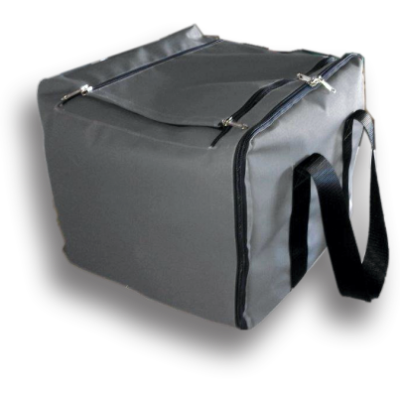 Water and dust-proof zips with weather flap secured with Velcro. 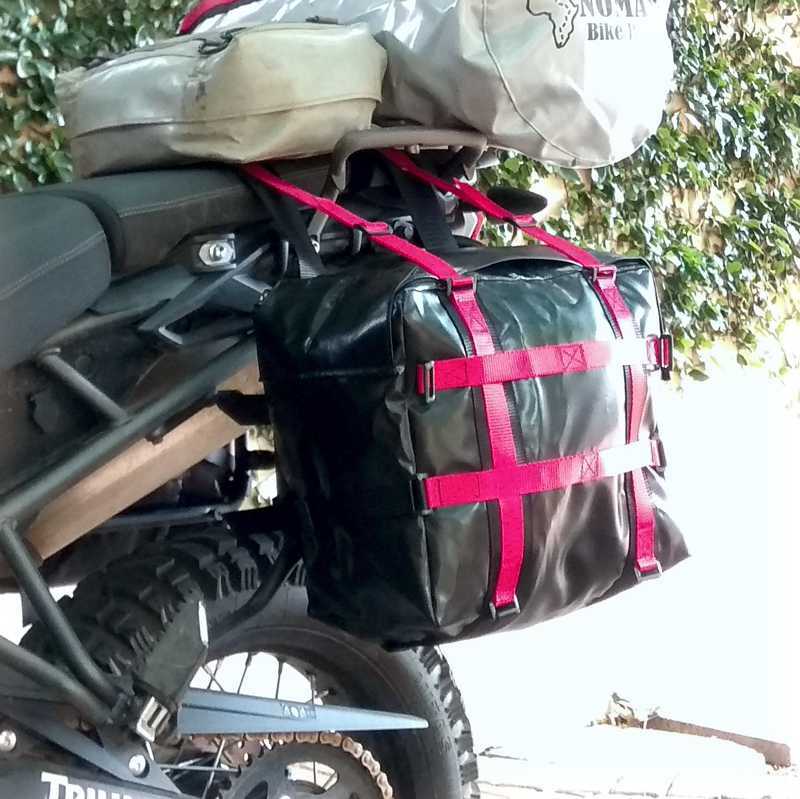 Do you want to ask us something about these pannier bags? 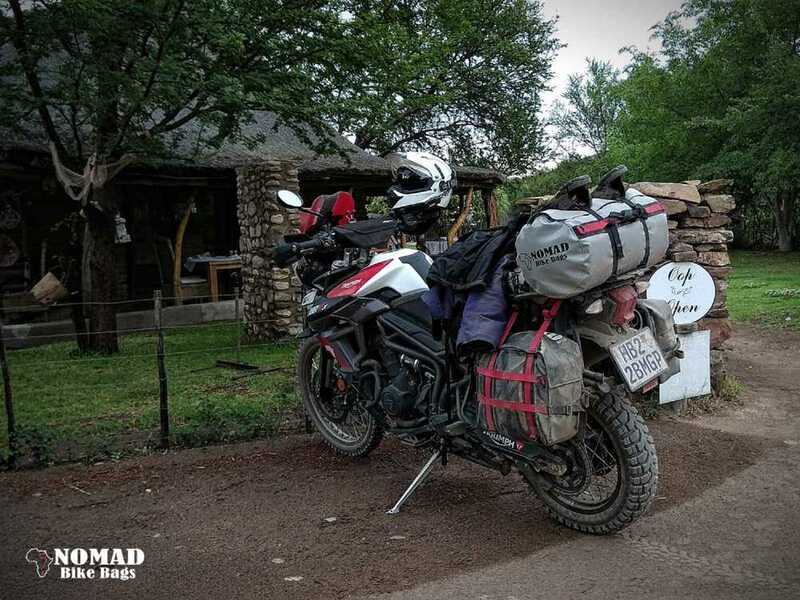 I used my pannier bags on our most recent Baviaans trip. Serious rough terrain, rain everyday and these bags worked the bomb. Best feature are the inserts you can take out with your stuff in. Thanks Nomad for an awesome set of bags and very affordable. Best Way To Fasten Most Things To Your Adventure Bike. 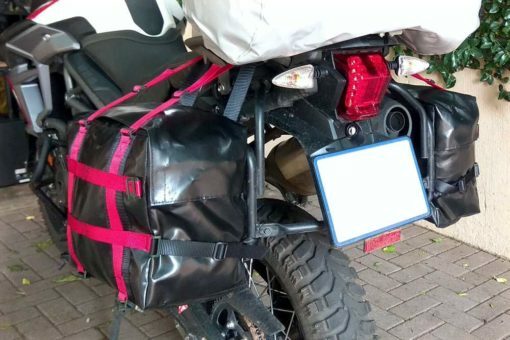 Mounting your mobile-phone on your adventure bike. 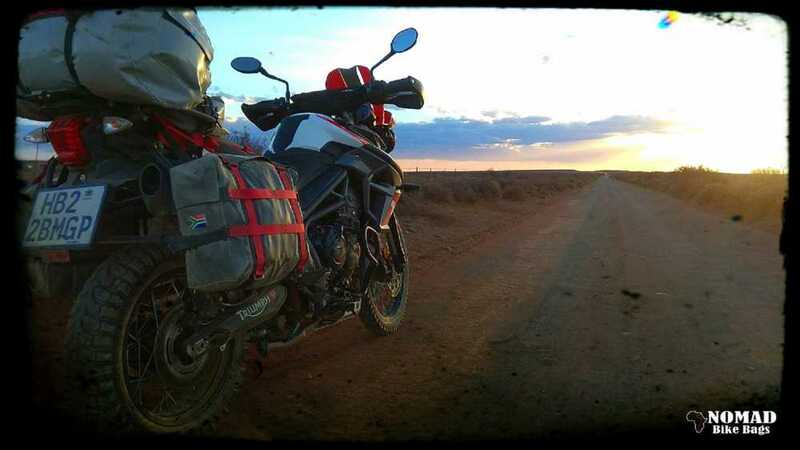 If you wish to order a set of Pannier Bags, please be so kind as to just phone us (Peter – 082 357 8842) to confirm if we can manufacture your bags. It is a little unconventional to ask this but we are running low on some of the material over this December season. So depending on your choices, the manufacturing time might differ. Especially if your order is urgent.